More than 45K Swimmers from 24 Countries Join Forces for the World's Largest Swimming Lesson taking place on 6/24 to Help Prevent Drowning - the leading cause of accidental death for kids 1-4.
Who: Tens of Thousands of kids from 45 states in the US and 24 countries around the globe along with Olympic Gold Medalists Rowdy Gaines and Janet Evans are participating in the World's Largest Swimming Lesson. 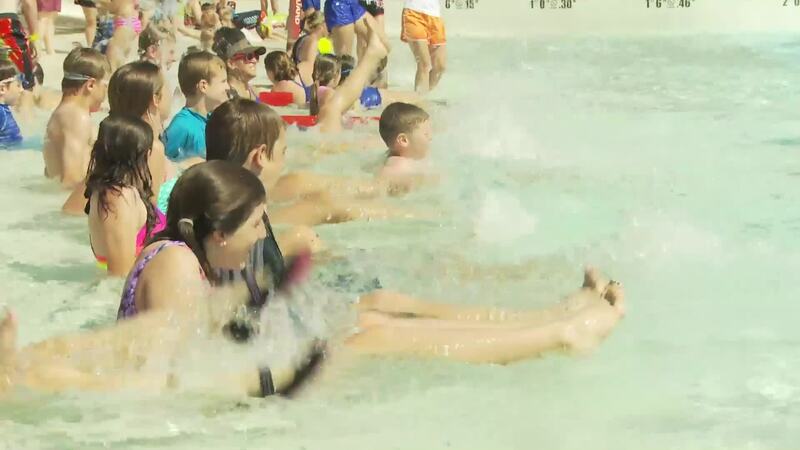 What: The World's Largest Swimming Lesson, an annual event first launched in 2010, to raise awareness about water safety and the vital importance of teaching children to swim. In 2015, 38,170 swimmers participated from 22 countries. When: Friday, June 24, 2016. Local event times vary by location. Why: The World's Largest Swimming Lesson was created to spread the word that Swimming Lessons Save Live™ Research shows participation in formal swimming lessons can reduce the risk of drowning by 88% among children aged 1-4, yet many children do not receive formal swimming or water safety training. More drowning and near-drowning accidents take place in June than any other month and the July 4th holiday traditionally sees an increase in drowning accidents compared to the average week during the rest of the summer. The U.S. Consumer Product Safety Commission reports that nearly 400 children under the age of 15 drown in a pool or spa each year, with 75 percent of those incidents involving children younger than 5. Children between the ages of 1 and 3 and African-American children between the ages of 5 and 19 are most likely to drown, according to the Centers for Disease Control and Prevention. Olympic Gold Medalists Rowdy Gaines & Janet Evans, as well as WLSL event organizers are available for comment.